We begin this week's Advent with a recap of The Prophecy Candle ~ The First Week of Advent, The Bethlehem Candle ~ The Second Week of Advent, and The Shepherds Candle ~ The Third Week of Advent. 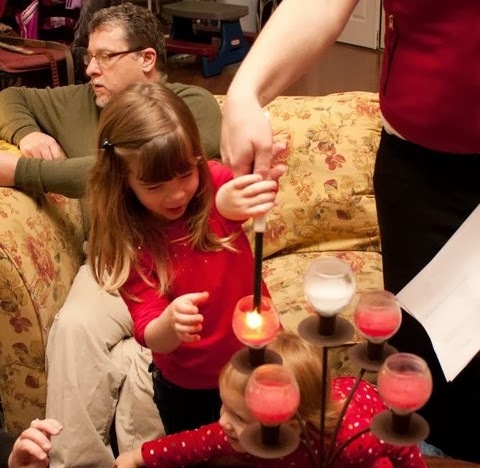 Grandchild: Light the fourth red candle and ask,: Why do we light four candles? Grandfather: The first candle is a reminder of the light of hope of the prophets. 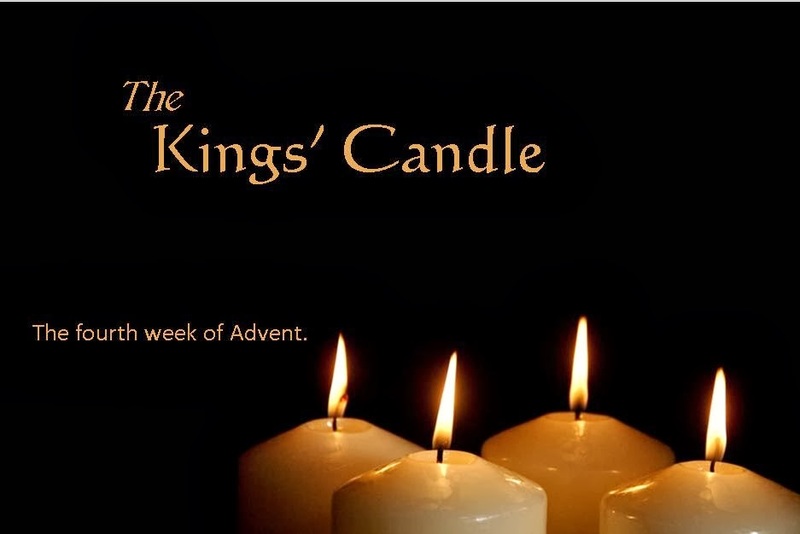 The second candle is a symbol of the light and warmth Joseph and Mary found in the stable. The third candle reminds us of the great light and joy which surrounded the shepherds at the announcement of Jesus’ birth. The fourth candle reminds us of the light of the stars in the sky which guided the Wise men to Jesus and which keeps watch over us by night. Let’s read the story of the birth of Jesus as Matthew wrote it. Grandfather: Father, when we think of Christmas we think of love and lights and gifts and happy times. But most of all, we think of Jesus, born in a manger and grown up as a loving teacher. 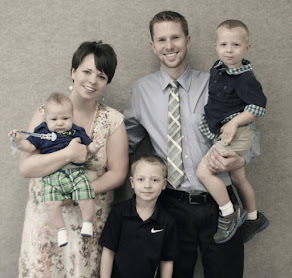 Help us to live the way Jesus teaches us so that we may show the real meaning of Christmas.